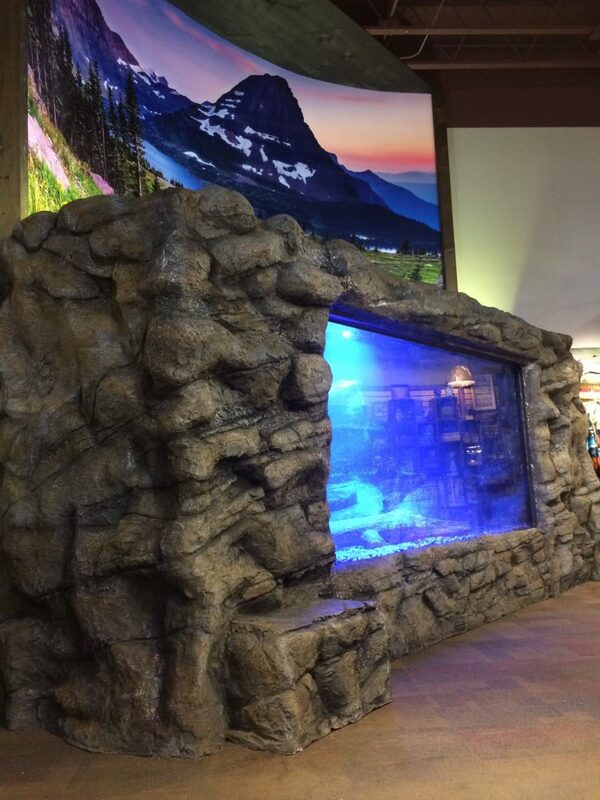 Though the bulk of our fabrications are acrylic, there are situations where a fiberglass aquarium is likely a better candidate. 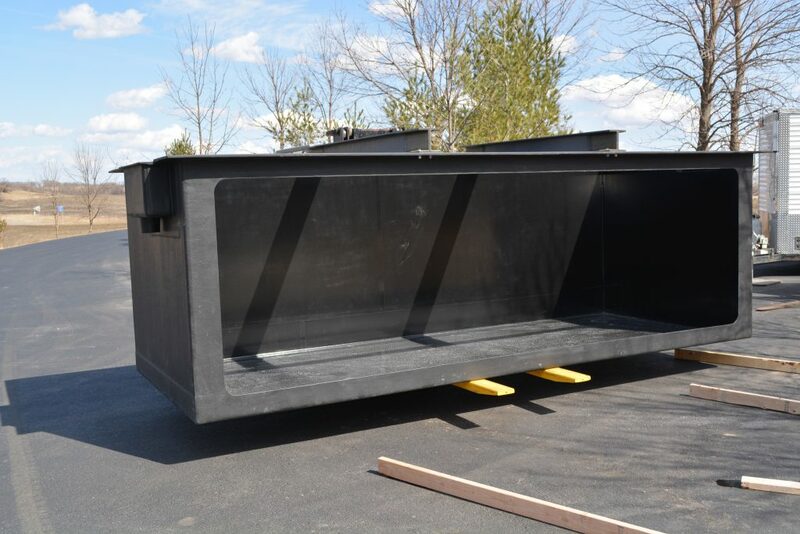 For larger installations, a fiberglass shell with acrylic viewing window(s) is often more economical than building a large tank from all acrylic materials. 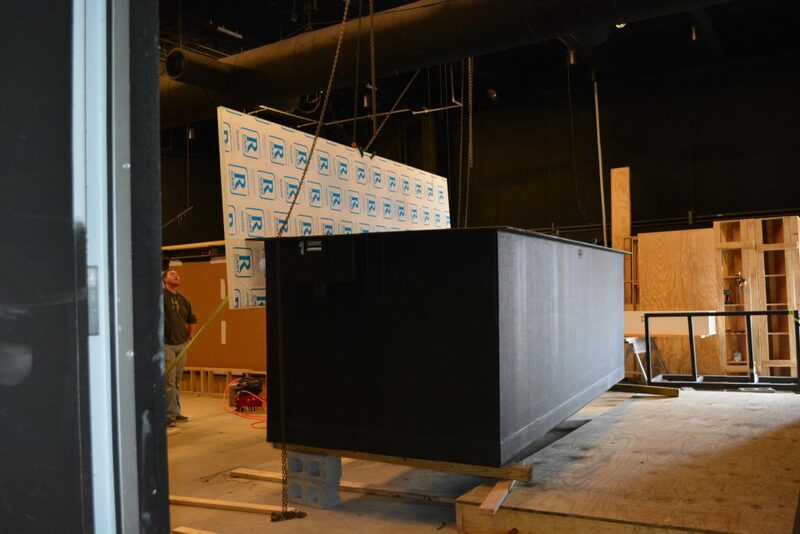 Fiberglass panels are not limited to available sheet size as much as acrylic. 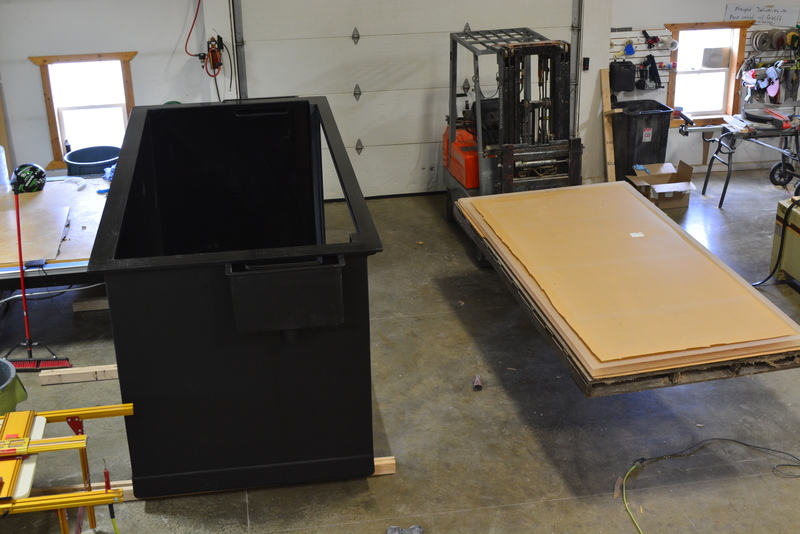 Fiberglass is extremely durable and can handle more abuse when moving and during installation. 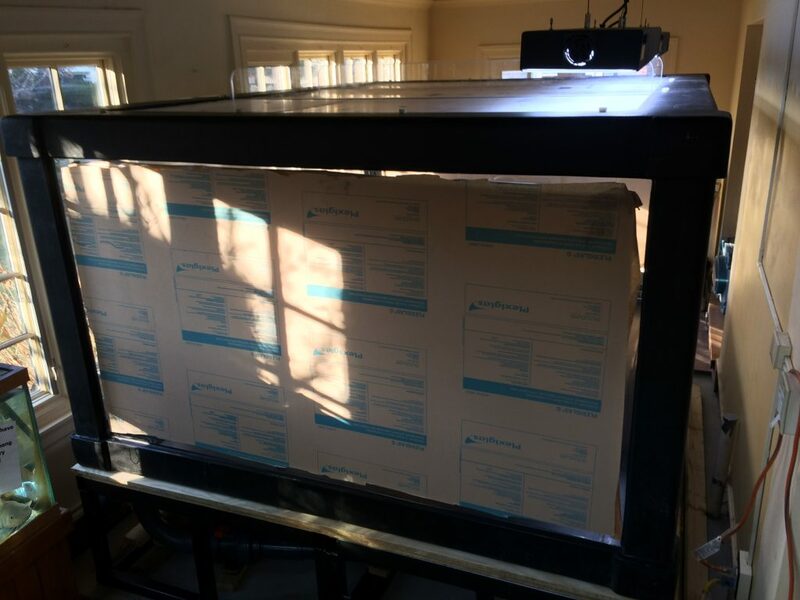 It is also a bit more flexible and since the viewing panels are bonded in with a flexible adhesive, these tanks can stand up better to shifting buildings, slightly uneven support, temperature fluctuations during transport, etc. 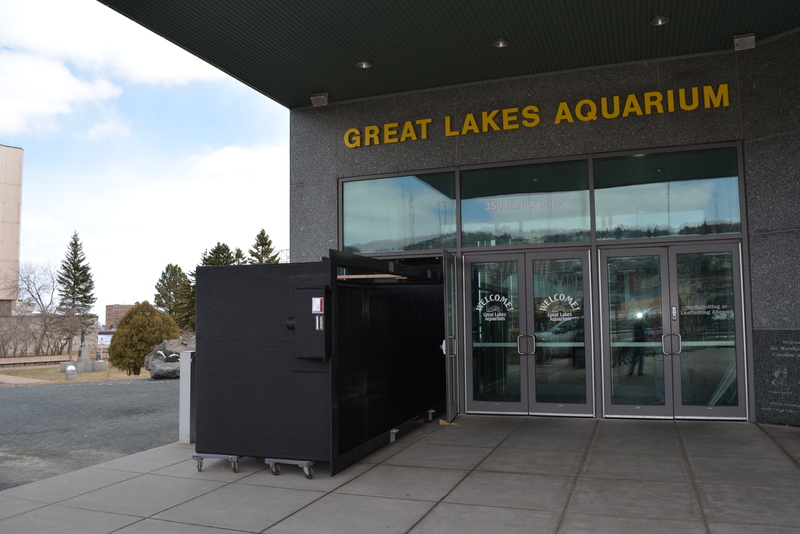 For installations where physically getting the tank in is a problem, fiberglass aquariums can often be brought in in parts and assembled on-site. 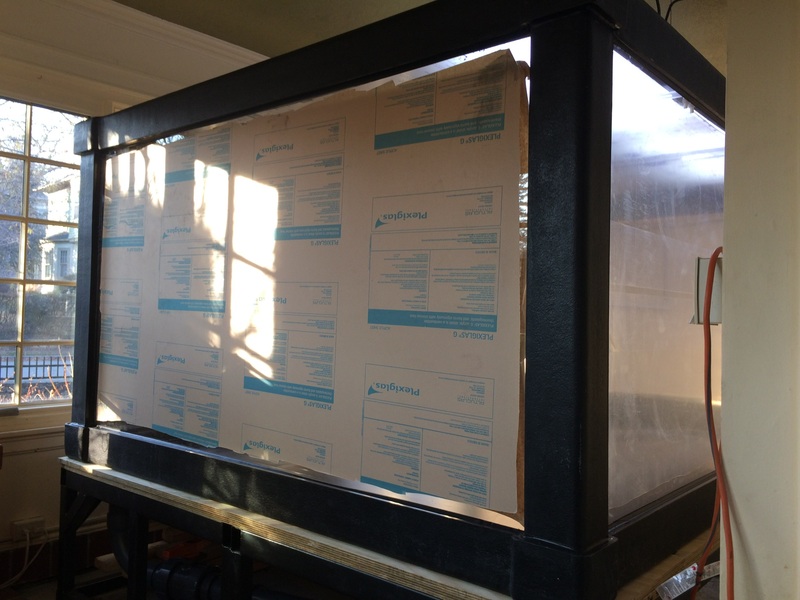 An added advantage on fiberglass tanks is that if the viewing panel(s) ever become damaged beyond repair, those windows can be removed and replaced without having to replace the entire tank. 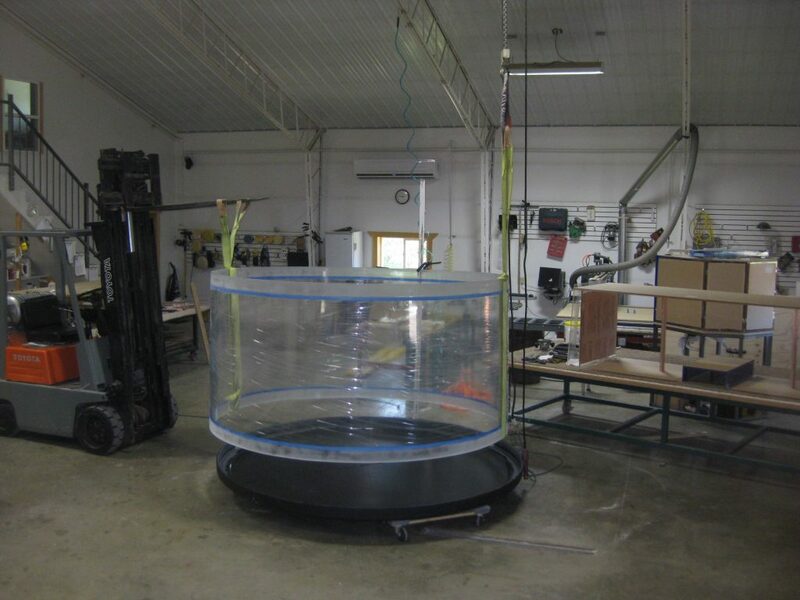 Some situations call for most of the tank being constructed from fiberglass, while others will just have fiberglass parts. Some examples of fiberglass/acrylic hybrid tanks are below.